April 10, 2015 2 Are Weight Gainer Supplements Harmful? This article will focus on the pull-up which is one of the best bodyweight exercises you can do for developing the muscles of the back (latissimus dorsi, teres minor, teres major, infraspinatus) and building size in the upper body. 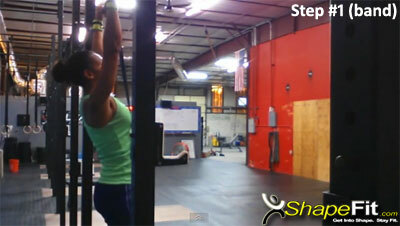 The pull-up is an exercise that scares most women (and even some men) when asked how many repetitions they can perform. This is understandable since the pull-up can be a very difficult exercise if you don’t have a lot of strength. This is an excellent and effective exercise that can be performed virtually anywhere and it truly gives your upper body muscles an amazing workout since it targets the lats, biceps, forearms and overall core muscles which work as stabilizers during the movement. 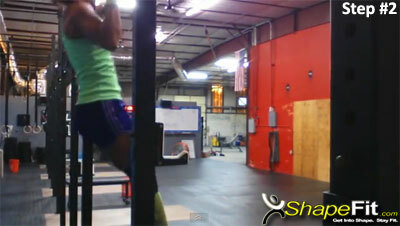 The video below was shot at a CrossFit gym in Orlando, Florida called Maverick Training. Watch the instructional video for specific tips and advice for helping to improve your pull-up technique. 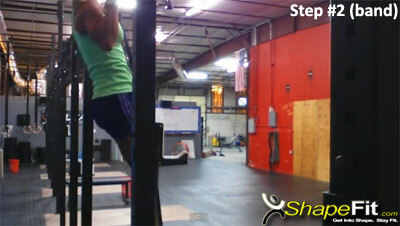 To improve on the pull-up exercise let’s first focus on building strength in the upper body. Before I go into the actual movement, it’s important to discuss “packing the shoulders” which means that when you’re hanging from the bar, instead of relaxing and letting your shoulders come up, you need to let your shoulders “sit” down away from the ears so you can have the stability and support your body needs in order to perform the pull-up movement efficiently. Since you need to build upper body strength, strict technique and form is a must. To help explain the “packing the shoulders” concept and for helping to increase strength, grab two dumbbells and do overhead presses very slow and controlled while focusing your attention on the movement and positioning of your shoulders. Try to “set” your shoulders down and avoid letting them rise up high. This position will be critical when you start doing pull-ups and will help you perform the exercise correctly. You can also use a barbell instead of dumbbells for the overhead press to build up strength in your shoulders. The next step in the progression of the pull-up exercise is to use a band for additional help when performing the movement. These bands come in incredibly handy when you don’t have access to expensive exercise machines like the assisted pull-up and dip machine that you see in most gyms. To start, wrap the band around a pull-up bar and position a bench below the bar to make it easier for you to place your feet on the band to begin the movement. You can also get the help from a friend to assist you. Climb onto the bench and place your right foot onto the band and press your foot all the way down so the band is fully extended and stretched out. Once your foot is securely in place on the band, grab the overhead bar with both hands using an overhand grip and slowly step off the bench and let your body hang from the bar. While you’re hanging from the bar, “pack” your shoulders to get your body ready for the upward movement (don’t let your shoulders relax). In this position, take a breath and pull yourself up to the top so your chin is over the bar and then slowly let your body return back down to the starting position. You will feel the added assistance from the band while you’re doing the pull-ups. If it’s really difficult with just one band, try attaching two bands or even more until you can fully perform the pull-ups with the assistance of the bands. However, don’t make it too easy on yourself. If you can do 4-5 reps with one band, that’s enough to help you build up strength. The bands come in different colors that are associated with different levels of resistance. Remember that mastering the pull-up exercise takes time. Practice makes permanent, not perfect. It actually took me 1.5 years to get the pull-up exercise down to allow me to get to the level that I’m at now. So, don’t get frustrated if you can’t do a single pull-up when you’re first starting out. Focus on building up strength in your upper body while perfecting the technique of the pull-up. With dedication and hard work you will be able to gradually increase your strength levels and get to a point where you can perform bodyweight pull-ups without the need for assistance with the bands. If you don’t have access to bands like the one shown in the video, just ask a friend to spot you. All they need to do is stand behind you and grab the bottom of your shoes to help lift you up when you need the assistance to get to the top of each repetition. Make sure they don’t help you too much though, since you need to make it challenging in order to overload your muscles and force them to get stronger. I hope you were able to get a better idea of the pull-up exercise after going through this demonstration on the proper technique for the movement. Pull-ups are one of the best bodyweight exercises you can include in your back training to really tax the muscles of your upper body and add thickness to your lats! I am a fitness professional whose journey began as an overweight child. Honestly, I am glad it happened that way. 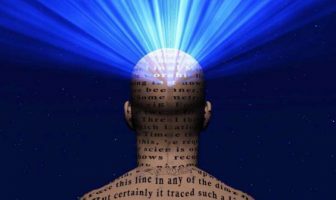 As I struggled with food and inactivity, I began to research nutrition and exercise. I'm now a CrossFit Level 1 trainer and I'm certified in several Les Mills fitness programs. See my profile page for more information!